Thirty-four elderly inpatients with long-term urethral catheters were randomly assigned to receive either norfloxacin (200 mg/day) or placebo in a double-blind study with cross-over after three months. Twenty-three patients completed the entire study. Norfloxacin treatment was associated with a persistent decrease in gram-negative isolates (p<0.005) and the acquisition of gram-positive norfloxacin-resistant flora. It also resulted in a highly statistically significant reduction of symptomatic urinary tract infections (1 vs. 12, p<0.02), a decrease in catheter-associated local complications, obstructions and leakage (p<0.05) and an improvement in the patients' general condition (p<0.001). 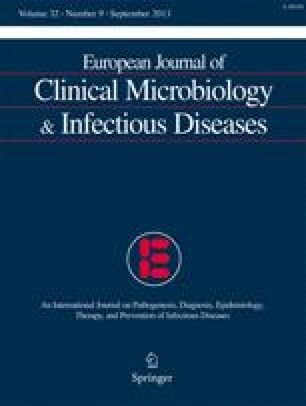 In conclusion, within the conditions of the present study, long-term suppression of gramnegative bacteriuria by norfloxacin reduced the incidence of catheter-related urinary tract infection and associated morbidity.